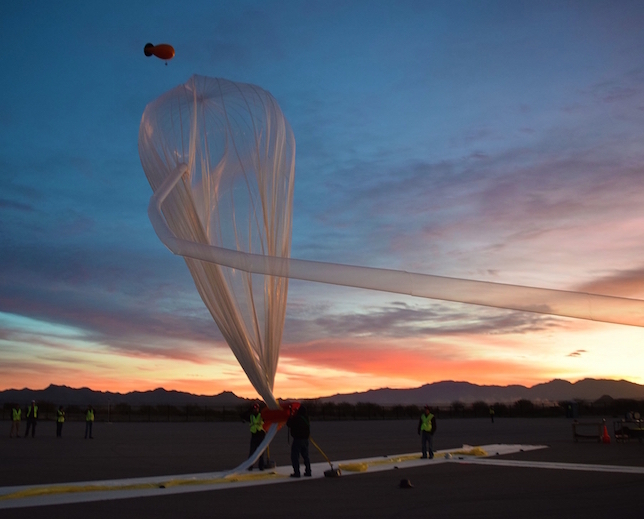 Two universities turned to a balloon flight company to send research experiments into space. Montana State University and the University of North Florida worked with World View, a commercial operator that performs pilotless flights up to 140,000 feet. North Florida's experiment was designed to measure the ozone gas profile in the stratosphere using a nanocrystalline gas sensor array. One of Montana's experiments tested a tracking and high-definition data link that the institution hopes to use to capture video during a total solar eclipse taking place Aug. 21, 2017. Fifteen students from Montana State as well as Iowa State University contributed to the design of the video link. A second experiment was intended to test a computer system for radiation resistance in space. Eventually, a satellite to carry that computer will be flying on an upcoming NASA mission. The technology is scheduled to be tested on the International Space Station later this year. All three experiments were flown on the same balloon and launched Feb. 19 from Tucson, AZ. area. That balloon reached an altitude of 102,200 feet and was retrieved the next day. The work at Montana was sponsored by the Montana Space Grant Consortium, which is running a national effort to enlist college students to monitor the 2017 eclipse with high-altitude balloons. "It was just awesome," said Angela Des Jardins, director of the consortium. "Our students were thrilled to be there and be part of it." According to a statement from World View, the flight was done as part of a commitment the company has made to advancing science, technology, engineering and math (STEM) programs in schools.